DISCLAIMER: I am not affiliated with WeDay, Free The Children or Me To We. These are my own experiences and opinions are all my own. I am not being paid to talk about any of the products mentioned. Hi guys! 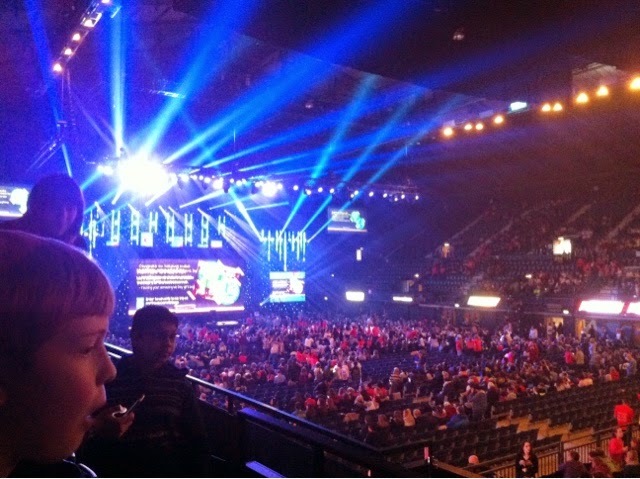 On Thursday I was lucky enough to travel all the way to Wembley Arena with my school to attend very special event: WeDay. WeDay happens once every year, and is a huge celebration of young people using their voices to change the world. You can't buy a ticket there, you have to earn it through completing one local and one global action to better the planet. I earnt my ticket by writing to the government through a group at my school called OI (stands for overcoming injustice!) about various global issues and through donating to my local food bank. Free The Children, the charity behind WeDay, was founded by Craig Keilburger when he was just 12 years old! Craig was just like any other boy, but one day he saw a story in the newspaper about a child slave who was tragically killed for speaking out against the exploitation. The story angered him so much that he tore out the article and took it into school with him, that day he would stand up in front of his class and ask for their help to end child labour: and so Free The Children was born. That day, with the help of his classmates, he would embark a journey that would light the spark in a generation of young people to stand up for what they believe in. I can't even begin to explain what it feels like to be sat in a huge arena with 12,500 young people who are all just as passionate about social change as you are. You can feel the desire for difference in the air; the sound of people chatting over the booming music as you step into the arena is overwhelming. 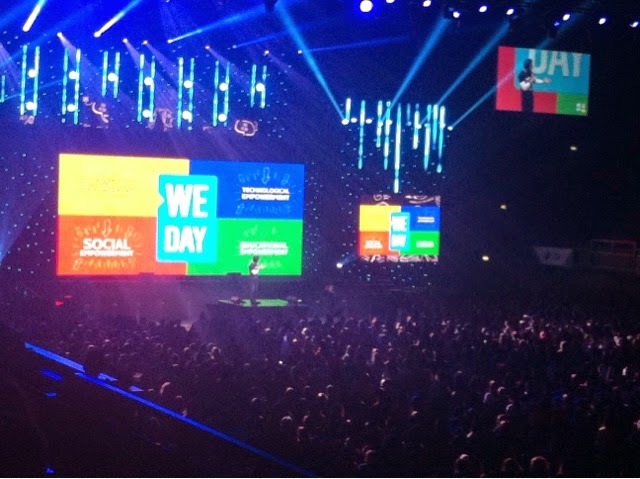 Although this was my second time going to WeDay, I'd forgotten just how unique the atmosphere was. It's honestly one of the best feelings in the world! 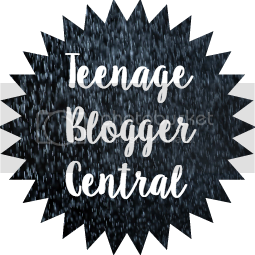 It would take me a whole day to talk about every person we saw speak, and I highly doubt you want to sit through all that, so I'm just going to say a little the very best parts of the day: commence the whistle stop tour of WeDayUK 2015! This time 'round WeDay was split into four 'lessons', meaning that for a day Wembley Arena literally became THE COOLEST classroom on the planet! Lesson 1 was all about economic empowerment, with our first teacher of the day, Becca Dudley, walking onto the stage to tell us how for a family in a third world country something as simple as a goat could be the difference between poverty and financial security. It works like this: 1 goat makes milk, which can be sold for other goats, you then have a heard. You can then sell some of the heard to buy chickens, now you have milk and eggs to be sold meaning that you have a source of income which inturn allows you to send your children to school (which I'll talk a bit more about in just a sec). Lesson two was probably the most inspiring for me, it was all about Technological Empowerment. This section really spoke to me as I am a firm believer that technology is what allows young people to create such a huge difference. 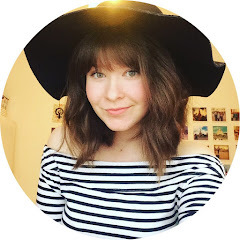 It also links in with my campaigns on Instagram, Twitter, Facebook and of course this blog! Our teacher was the incredible Spencer West, who lost both his legs as a child. However he hasn't let that stand in his way and has climbed Mt Kilamanjaro on his hands, something that most people wouldn't even dream of doing! He spoke about the huge power 'the internet generation' have, and that we must be using our social media platforms to help change the world. In fact, if you're reading this I want you to post one fact about an issue you're interested in on your social media. You don't know who might see it and get inspire to make a difference! Next up - Social Empowerment! Our third teacher of the day Bluey Robinson told us about how he managed to overcome being bullied when he was a teenager. As some of you might know my manifesto for youth parliament was to reduce instances of bullying, so this was really powerful for me. Teenagers today have so much pressure put on them by the media and from their peers that it's really important we learn to support eachother instead of tearing eachother down. Happy and confident young people now means better world leaders in the future! Last lesson of the day was Education Empowerment. This was led by the man himself, the absolutely incredible Craig Kielburger! I have to say he is one of the best public speakers I've ever seen and it was such a highlight to see him speak live! His story is incredible, he was younger that I am now when he first travelled to Asia to witness the horrors of child labour. One of the core fundamentals of the free the children initiative is education, once children can access a high quality education they stand a much much better chance of breaking free from poverty. Craig also taught us this: GIFT+ISSUE=CHANGE. What does that mean? It means that whatever your talent is, combined with a cause you are passionate about, is what has the power to create change. For me that really sums up the message of the entire day: WeDay is young people using their talents to create change! But that wasn't all! Throughout the lessons we heard empowering speeches from the likes of Kweku Mandela, Professor Muhammad Yunus, Google Science Fair winners, The Buried Life guys and Martin Sheen! WeDay is a celebration and in that spirit there were also performances from incredible artists like Years & Years, Bars and Melody, Conor Maynard, Mr Probz and my personal favourite Shawn Mendes (IKR). He got the entire arena singing his song 'Never Be Alone' and I would be lying if I said I wasn't fangirling a bit (okay a lot) at that point! It was such a beautiful moment! But in reality WeDay isn't about going to this concert, getting inspired to make a difference but then losing interest after a few weeks. It's about all of us uniting as a community of dedicated and passionate young people to be the change, for good. It's not inspiration that creates change, it's action. If you are a young person who is interested in making some positive difference to the world, then I encourage you to download the WeDay app, We365. Every day there are new challenges and it's the perfect place to connect with other passionate young people from all across the globe! If you decide to download the app you can find me on there at Sarah Trott! Sorry this post is getting so long, I promise I have just a couple more things to talk about regarding what happens now I've been to WeDay! First off I would just like to talk about my beautiful WeDay Rafiki Friend Chain that I bought on the day. 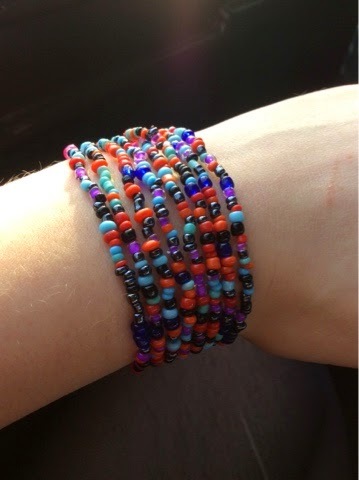 Each Rafiki (the Swahili word for friend) is handmade by a woman in Kenya, the beading provides them with a sustainable source of income and allows them to send their children to school. Each Rafiki stands for a different cause (e.g. income, education, empowerment), my Rafiki gives a week of clean safe drinking water to a child in India. There is a code on the back of each Rafiki that allows you to track your impact and see exactly who your Rafiki is helping! How cool is that? Finally (last thing I promise:)!!!!!!!) is the volunteer trip opportunities that are offered through the WeDay initiative. They allow young people to travel to destinations like India, Kenya, Rural China and Ghana to work with a community and build a school. It has always been a dream of mine to travel abroad and see what life is like in a third world country. Much like Craig Kielburger at the age of 12, I feel as if experiencing a completely foreign country and being immersed in the culture, whilst being able to make a real difference to a community would help me to become a much better world changer. I don't know if this year'll be my year to go, but I'm applying for several scholarships, so fingers crossed! I want to say a huge thank you to the teachers at my school who drove us all the way up to London, we wouldn't of been able to go without you! It has been a life changing experience and one I will treasure for the rest of my life! However it's not really over, WeDay launches a year of action for change for every young person, including me and YOU! I really encourage you to download the We365 app and to check out the metowe website if you are passionate about changing the world as they have some fantastic resources! Remember that GIFT+ISSUE=CHANGE and have a lovely day!